OxygenOS is now available to download. We knew it was coming, and over the weekend it finally arrived: OnePlus has officially released the custom-made OxygenOS flavour of Android that will be powering the company's handsets and devices in the future. 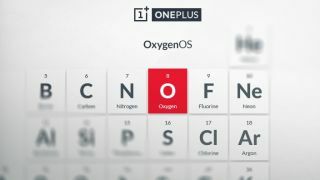 At the moment, the OnePlus One uses CyanogenMod, the popular open source OS based on Android - but a falling out over licensing issues in India has put paid to that cosy partnership, leading OnePlus to decide to develop its own software instead. The Chinese firm missed its own deadline to get OxygenOS out into the world by a few days. OnePlus One owners need to manually install the update for now, but it's likely to come as standard with OTA updates on future phones from the company. At first glance, OxygenOS looks like a lightweight, streamlined take on Android that should go down well with users. Its developers have highlighted gesture support as one of the most useful innovations, giving you quick shortcuts to music and camera features. Customisation options are also a priority for OxygenOS - you can switch between hardware and software navigation keys as you wish, OnePlus says, and add more personalisation to your handset. An integrated file manager app is also provided. With OxygenOS now at the fingertips of users, we're just waiting for the OnePlus Two to see the light of day. At the moment, the best estimations and rumours put the release date at some point in the third quarter of 2015.